With Star Wars: The Force Awakens now less than a year away, that’s obviously been the hot topic of discussion when it comes to Star Wars, but there’s so much else going on. Not only are the Episode movies in the works, but Lucasfilm has a handful of standalone movies on the way as well. At the tail end of December, we heard that the first film could focus on some version of Han Solo and feature Aaron Paul. That, however, was apparently news to the Breaking Bad star. 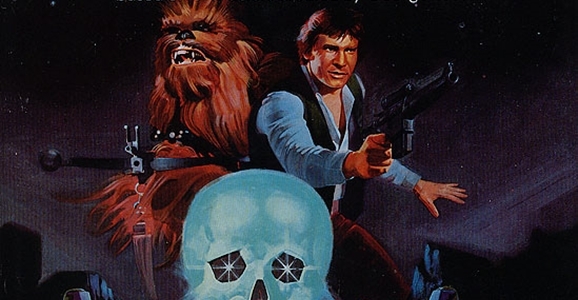 It’s no secret that Han Solo and Harrison Ford are both back for J.J. Abrams’ Star Wars: Episode VII. That’s about all we know for sure (except for that whole broken leg thing), but at least it’s something. We’ve heard rumors and unofficial reports about what he might be up to, but that’s all it is at this point. Still, if this latest bit of information has any truth to it, it could be a fun little nod to longtime fans of the franchise. This may stray into SPOILER territory, so read on if you dare. It’s not huge, but you’ve been warned. Comic books are usually the places where mega-franchise crossovers happen, but every once in a while, the Lego world is a hot spot for hero worship. In the video above, three of cinema’s coolest space-faring adventurers have gathered together to talk about the proper way to handle enemy gunfire. (Or blaster-fire or whatever.) Guardians of the Galaxy‘s Star-Lord, Firefly‘s Captain Mal, and Star Wars‘ Han Solo are kicking back for some drinking and storytelling, with the conversation focused on one of the time-honored questions that good heroes always ask themselves: Is it better to shoot first or not? As a child of the ’80s, my Star Wars action figures were some of my most cherished possessions growing up. They fought countless battles against the ranks of G.I. Joe and the Masters of the Universe, and they spent their down time chilling in a swanky case shaped like Darth Vader’s head. Sure, I could have sold the things for a bunch of money if I’d somehow had the foresight to leave them mint-in-the-box, but I cherish all those fond memories of childhood imagination. 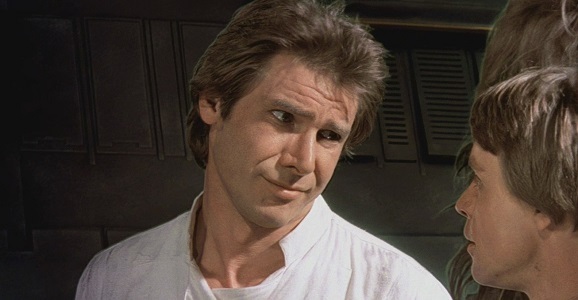 That being said, if my old Star Wars figures were as high quality as Hot Toys’ just-revealed Han and Chewie figures, I probably would have reconsidered all those times I pretended the garbage disposal was the Great Pit of Carkoon. Hot Toys doesn’t make toys for kids, or at least not for kids who don’t have wealthy parents or full-time jobs. Their catalog includes gorgeous recreations of characters from flicks like Back to the Future, Predator, Avatar, Guardians of the Galaxy…the list goes on. 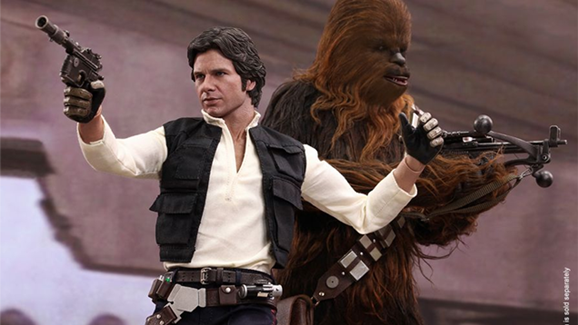 The Han and Chewie figures don’t disappoint, maintaining the same ridiculous level of detail as their other toys. Look at the scar on Han’s chin. Look at the wrinkles on his knuckles, for crying out loud! Perhaps even bigger news than the announcement of Episode VII, and the rest of the new trilogy to follow, was the news last year that Disney also wanted Star Wars spinoff movies to help expand George Lucas’ onscreen universe in a major way. Since then, it’s become clear that Disney will be taking “the Marvel approach” to that galaxy far, far away, creating new interconnected movies and possibly TV shows to spawn an even-more-connected multi-media universe. While nothing has been confirmed about the storylines or characters those spinoffs will focus on, there was word that they will be origin stories involving the likes of Yoda or Boba Fett. 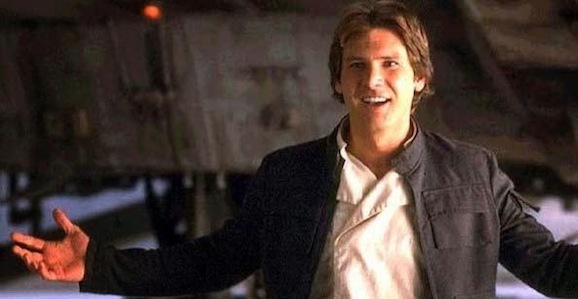 Now some more fuel has been dumped on that fire, with hints that we might get a Han Solo origin film in 2016, the year after Episode VII is slated to hit. The Las Vegas Guardian Express is reporting on an investor’s conference in Beverly Hills where Disney chief financial officer Jay Rasulo allegedly got specific about the spinoff films, saying a Han Solo flick will be slated for 2016, with — assuming it’s successful — films focusing on Yoda and Boba Fett to follow in 2018 and 2020, respectively. Assuming they stick with the plan of releasing the origin films in between the Episode entries, that would suggest they plan for us to get Episode VIII in 2017 and IX in 2019. This obviously isn’t the same as a Disney confirmation via press release, but it does suggest that the company isn’t sitting on its hands when it comes to moving forward with broadening the onscreen Star Wars universe.